Can You Turn Your Grill Into a Pizza Oven? For that matter, the design here is a more refined version of making a tinfoil shield, which means that you do use a pizza stone as well. The product here is much more resilient and it is in the exact shape you need to get sustained, high heat. As a result, you can easily use a pizza peel and get the complete authentic cooking experience. The product results in temperatures of more than 700°F, which further adds to the authenticity, cooking the pizza fast and hot. The downside to using gas is that you don't get the smoky flavor of a wood fired oven, but honestly, a lot of people won't care that much. If you do, you can always get a pellet tube smoker. You can check out my full review of the KettlePizza Gas Pro for more information. If you have a typical Weber kettle grill (22 or 18 inch), then this grill insert is another option. The product comes from the same brand as the previous example but it is designed for a charcoal grill rather than a gas one. Now, this particular product isn’t as generic as the Gas Pro and it is just designed for use with a Weber charcoal grill. 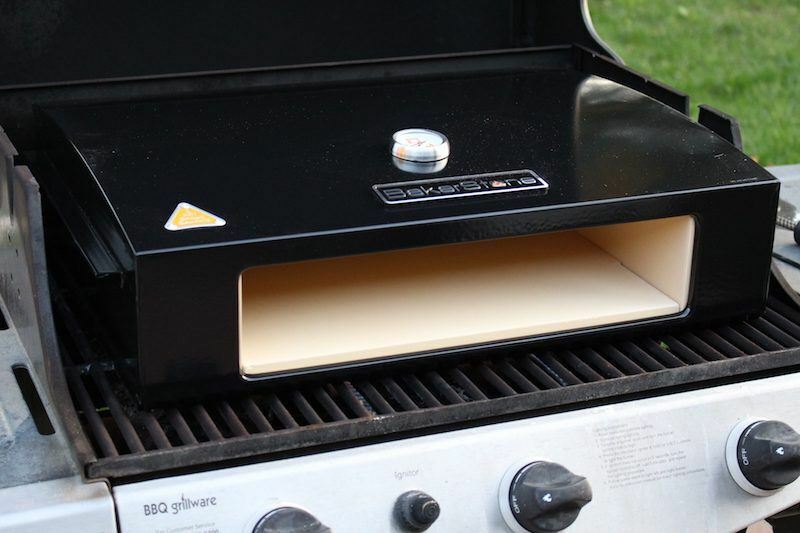 Theoretically, you might be able to use the insert with another grill, especially if it is a similar size and shape. If you do have the right grill, then this insert is incredible because it gives you a very authentic flavor to your pizza. The idea here is that the insert goes inside your grill, turning it into something very much like a real wood fired pizza oven. To get the desired temperature, you need to cook with a combination of wood and charcoal. Doing so also gives you the smoky flavor associated with wood fire cooking – something you don’t get from a gas grill. I really like the insert and it has certainly been fun to use. You can check out my full review of it for more information. However, it takes time to learn how to use the insert correctly and a considerable amount of fuel to maintain temperature if you plan to do more than a few pizzas for a party. As a result, it isn’t the most efficient approach out there – even though it may work well for you. This box is another way to convert a gas grill into a pizza oven. In this case, you’ve got a fully enclosed box that simply sits on your grill. It is made out of the same material as a pizza stone, which means you don’t have to put a pizza stone in it yourself. The style works well and it’s great if you want a single unit that meets your needs. 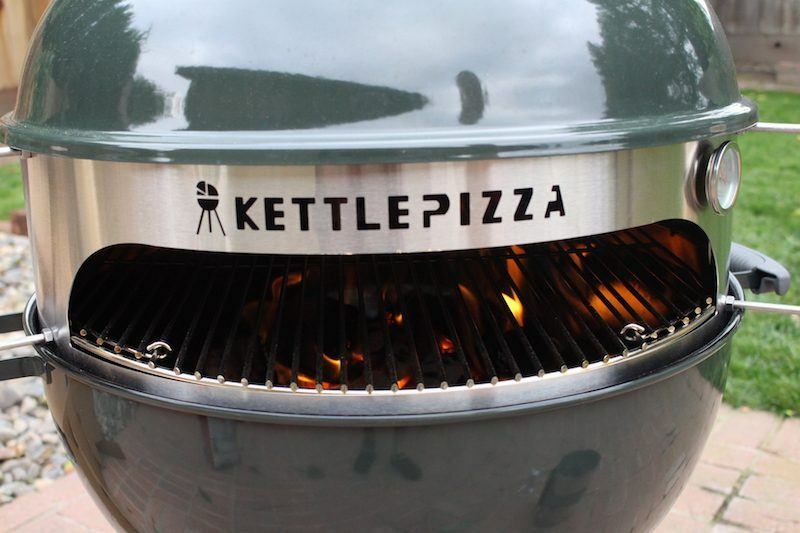 As with the KettlePizza Gas Pro, this product does also get hot enough to cook your pizza authentically every time. The main reason that I prefer the KettlePizza option over this one is timing. While this pizza box is good, it can take as long as 30 minutes to heat up, especially if it is cool outside. In theory, you can close the grill to speed the process up (I do) but the company’s instructions say that you shouldn’t do this. Interestingly, this is the least expensive of the two options, so some people may end up choosing it for that reason. And, why not? It does create amazing pizzas. Plus, if the heating time isn’t an issue for you, this could be the perfect choice. You can check out my full-length review for more information about the product and my experiences when using it. As you can see, there is a range of products and approaches for converting your grill into a pizza oven. You also don’t need any special skill set to be able to make this conversion. This gives you a great way to get the benefits of a pizza oven, without the typical price tag. But, should you go with gas or charcoal? After all, each approach has its advantages and disadvantages. In many ways, the answer depends on what precisely you’re looking for. One of the biggest advantages of using a gas grill conversion is simplicity. The various approaches basically involve setting something on top of your barbecue, which is extremely easy to do. You can also easily take the product on and off. Doing so is perfect if you want to use the grill itself as well. The simplicity also means that you aren’t restricted by the make of your grill. Instead, the various products will work on almost any 3-burner grill. This means that you can use this approach, regardless of what type of grill you have. That flexibility isn’t present for a charcoal conversion. However, there are downsides too. The biggest one is that you aren’t actually using wood in any way. Because of this, you’re not getting the smoky flavor that often comes with wood fire cooking. Likewise, the whole experience can feel a little less authentic. From my own experience, I can tell you that the problem isn’t as significant as it seems. Instead, most of the desired pizza cooking outcomes are associated with temperature, not with the wood itself. You can truly get amazing pizzas from a gas grill conversion, despite the lack of fire. 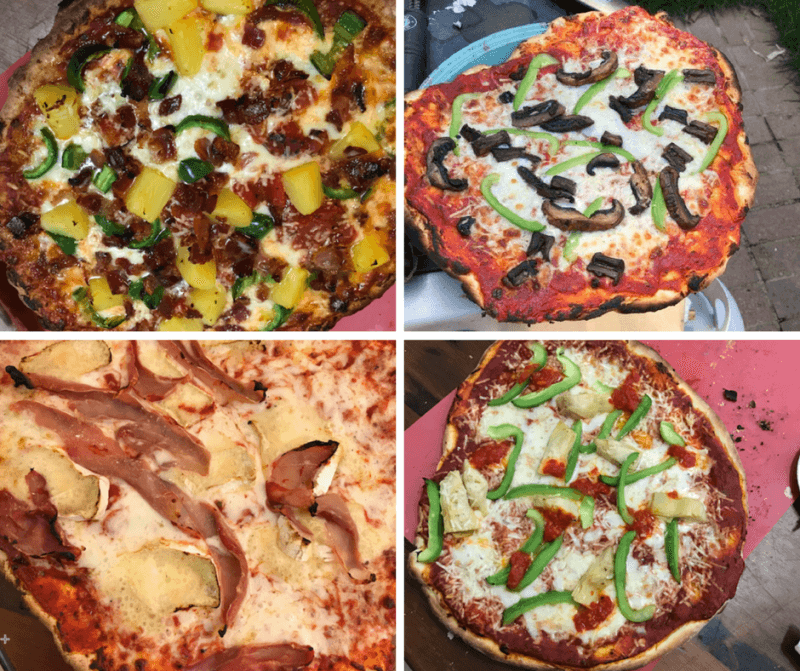 The pizzas below are all examples of this, as they were cooked in the KettlePizza Gas Pro. The one other thing to note is mobility. Gas conversions work well but most gas grills aren’t especially portable. 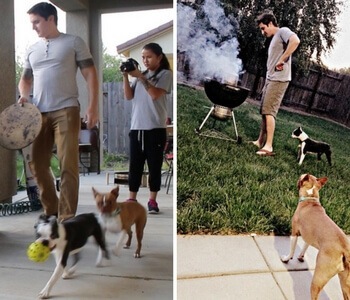 This won’t be a problem if you’re planning to cook in your backyard. But, if you want something to take camping, a gas grill conversion isn’t the best approach. On the whole, charcoal grill conversions tend to be trickier to set up and to use. There is simply more to consider, especially as you have to pay attention to what you are burning, where it is situated and how the burning is progressing. At the same time, the conversion progress is a more integral component of your grill. You can still take it out but doing so requires extra time and energy than with a gas grill conversion. This aspect also means that most charcoal grill conversions only work for specific types of grills. That’s frustrating if you have a charcoal grill that isn’t suitable. Of course, the benefits are that you have a more portable pizza oven and that you are actually burning some wood. In many ways, this makes for a more authentic experience and can be a lot of fun. At the end of the day, charcoal and gas grill conversions are both effective ways to make a pizza oven from your barbecue grill. Despite their differences, the two options end up producing similar pizzas and both can be a positive experience overall. When it comes to simplicity and making great pizza, I tend to prefer gas grill conversions, particularly because the KettlePizza Gas Pro is exceptionally fast and easy to use. But, for anybody wanting something portable, a charcoal conversion is probably the best choice. Both styles are fun though and there is no shortage of pizza recipes that you can make using them. You are here: Home / Outdoor Cooking / Can You Turn Your Grill Into a Pizza Oven?